Head to these salons for spray tanning in NYC to look your best, whether it’s the dead of winter or you’re avoiding UV rays on the 4th of July. Safer than baking outside in the heat at NYC parks, these sunbathing spots offer an even tan—along with other top spa treatments. Congratulations, you’re now one step closer to having your dream beach bod! This West Village tanning salon has been keeping New Yorkers bronze for 14 years. You can opt for either high-tech tanning bed or a UV-free spray tan by one of its certified artists. Plus, it offers teeth whitening as a rather unique add-on, so you can get bronze skin and a bright smile all at once. This place has earned a reputation of having an exceptionally nice staff and tidy facilities. You can get a fresh spray tan for just 25 bucks and leave looking like you’ve just flown in from Maui. If you want consistently bronze skin and a good value, this spot will hook you up—there are multiple package deals for spray tans ranging from one to 10 sessions, and even more options for custom tans. And for $79 per month, you can sign up for a Platinum Membership here and get unlimited access to both spray and bed tanning. While this joint only offers spray tans, the employees are gifted painters—and deliver a thoroughly au natural look. Don’t worry about leaving here with an orange complexion or anything resembling those orange streaks you had after attempting self tanner at home. The prevailing atmosphere at this location is one of relaxation and sophistication, with wrought iron furnishings (including candelabras) and a vaguely European feel. The spray tans here are organic, and as a day spa, this spot also offers massages. 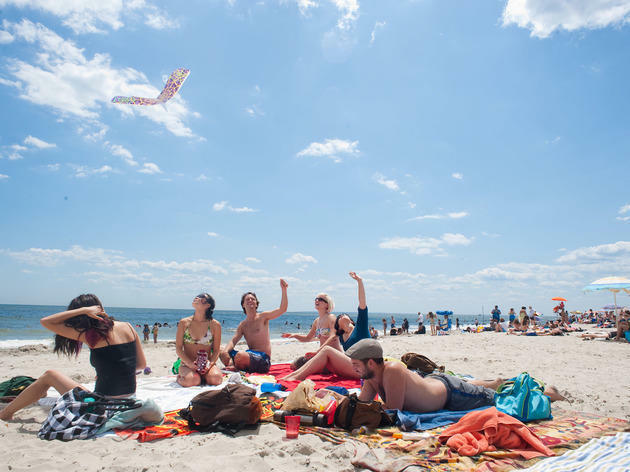 This spot sells both UV and airbrush tans, giving the best New York beaches a fierce competition. It also offers group packages, in case you want the whole gang to glow before a night out. If you’d rather not sprawl out in Prospect Park next to loud families picnicking or twentysomethings ineptly playing Frisbee, head here for a faux glow. You can also get a free tan with the purchase of a (generously sized) lotion kit. This pamper-perfect locale has top-notch tanning offerings—plus manicures, waxing and pretty much anything you would want from the best spas in NYC. A joint nail salon and tanning salon that gets your beautifying done in one shot? We’re sold. This tanning salon provides the option to stand up or lie down while you soak up some rays. It also has low-intensity beds if you’re a fake-tan newbie or are aiming for just sun-kissed instead of Ross Geller levels of orange. Looking to get a tan at the beach? Summer’s here! 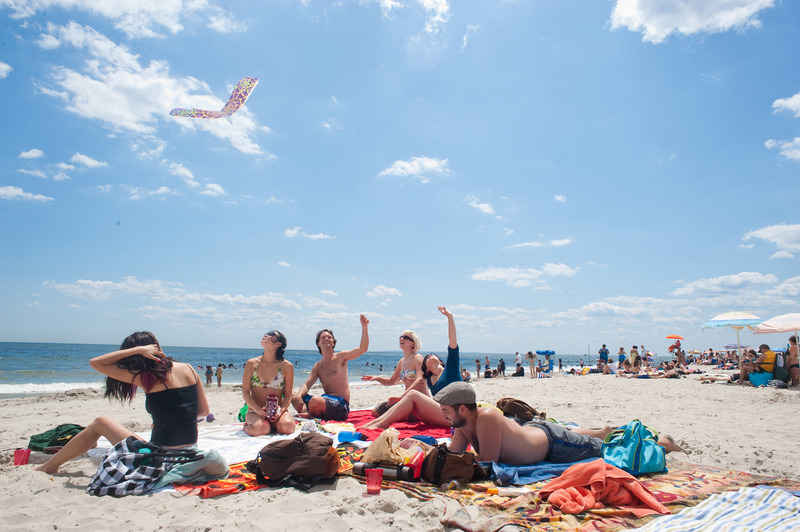 Time to put on those shades, fill the cooler and lie out on the sand at the best New York beaches.